BJS-Assoc. Interior Design curated an artistic, stylish and hip habitat for New Yorkers with limited space and resources at the Housing Works Design On A Dime benefit and show. 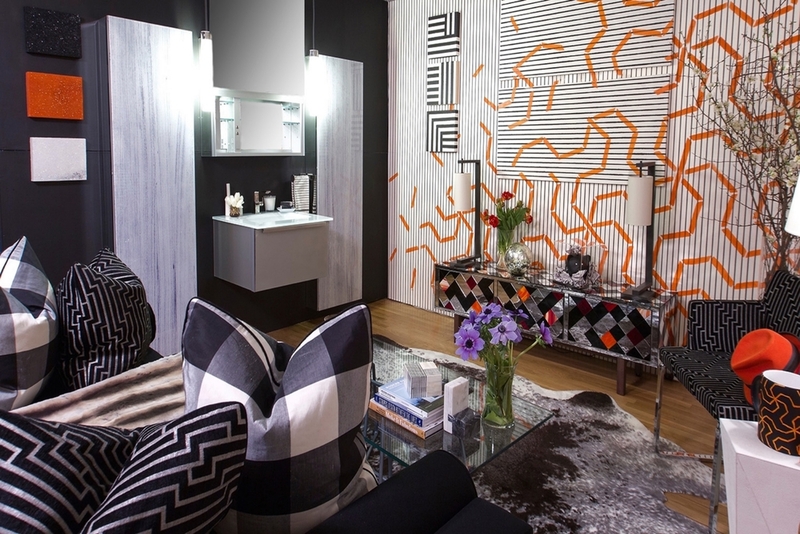 The brilliant tones reflected in the vignette incorporate shades of black and white, interspersed with a vibrant electric orange that gives a bit of a jolt to the room. The theme was derived from reflection of light, darkness and vibrancy of the beauty within the city. The vignette and wall treatment was first inspired by Steves interest in the work of M.C. Escher, who played with architecture, perspective and impossible spaces. The wall treatment and canvases were designed and installed by famed decorative artist Sylvie Michel Bilger for Metamorfaux. 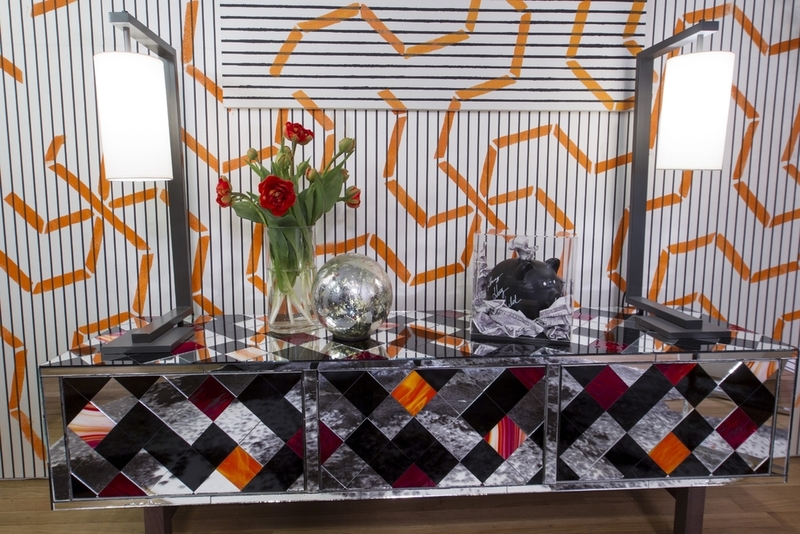 Working in concert with Allison Eden Studios, Steves designed a one-of-kind mosaic media cabinet entitled, “Allison in Wonderland.” The collaboration with Robern provided an elegant and timeless bathroom suite, including cabinets, vanity and pendant lighting. © COPYRIGHT 2016 BJS ASSOC CORP. ALL RIGHTS RESERVED.